Here on the tri-state area just experienced a snowstorm that would normally be later on in the year during winter but this storm hit us hard in October. When I heard the news that there was going to be a snowstorm I thought of a flurry here and there, not a massive wintery mess. With these sudden and unexpected climate changes one must think quick to prepare for something like this, because I surely wasn't. 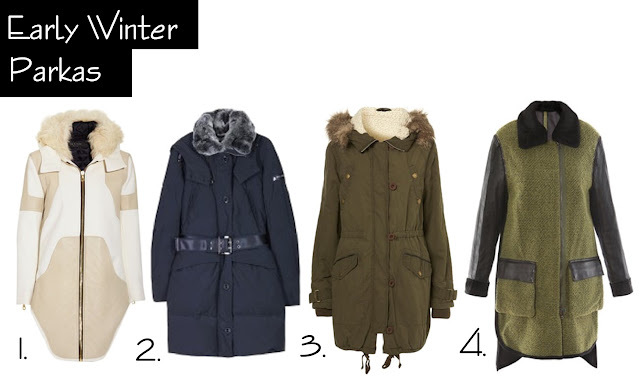 Here are my chic picks of parkas for an early winter this year. It's better to be prepared then not to be.